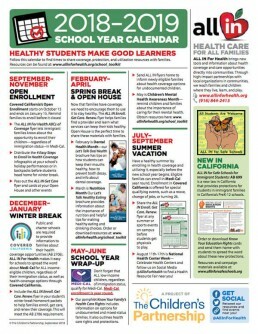 Schools have a special connection to students and families, and ALL IN For Health is here with materials to help you connect them to coverage. 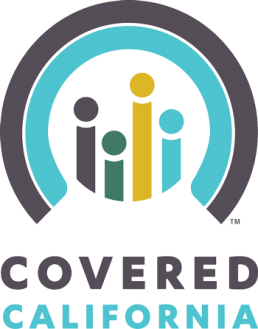 During Covered California’s open enrollment period, you can help connect families to affordable health coverage options. All income-eligible children qualify for Medi-Cal, regardless of their immigration status, and ALL IN For Health is here to help you spread the word about this new opportunity for families. Download below or order our toolkit materials and send them home with students to spread the word about affordable coverage and care options. 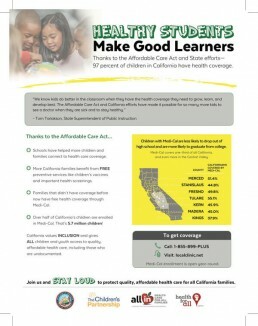 For updates on the expansion of Medi-Cal to all children, regardless of immigration status, visit health4allkids.org. 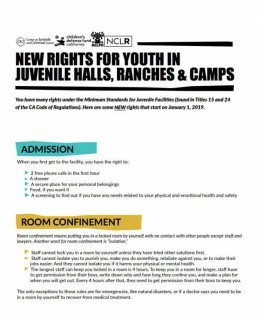 Check out this resource created by CDF-CA, CJCJ, MILPA and NCLR with the hope of arming young people, their families and advocates with the knowledge they need to protect the rights, health, education and safety of young people locked up in local juvenile facilities (halls, camps and ranches). 2018-2019 SCHOOL YEAR CALENDAR IS OUT! 2018–2019 School Year Calendar: Schools can promote health coverage and care all year long. Keep this flyer handy for simple ideas to engage students and families. Updated for the 2018–2019 school year. 2018-2019 School Calendar 11×17 Poster: Available to hang up in your classroom. COMING SOON! All materials available in English and Spanish unless noted otherwise. All fact sheets can be downloaded and designated spaces can be customized to include local information (asterisked information below provides instructions). Order materials to easily distribute to the children and families you serve. Forming healthy eating and drinking habits early on will help your child live a long, healthy life. This resource provides valuable information about the importance of nutrition and helpful tips for making healthy eating and drinking choices. 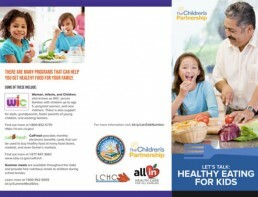 It also contains useful information about programs that can help make it easier to access healthy food for your family. Taking care of your child’s mouth and teeth will help them become a healthy adult. This brochure provides valuable tips for keeping your child’s mouth healthy and preventing tooth decay. It also contains important information about dental coverage for children and why oral health matters. Know Your Family’s Health Care Rights: Our new pamphlet includes information on existing options for undocumented and mixed-status families. It outlines health care rights and protections, and it provides information about accessing care locally. Conozca los derechos de su familia sobre su cuidado de salud! 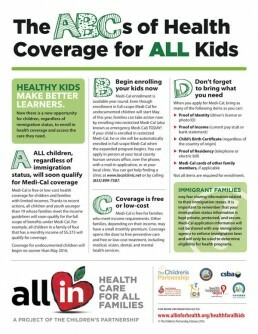 Healthy Students Flyer: Help us defend children’s coverage by sharing our new Healthy Kids Flyer which shows the tremendous impact the ACA has had on our children in the Central Valley. Download the flyer in Tagalog (customizable version also available). Download the flyer in Hmong (customizable version also available). Managed Care Flyer: Now that families are enrolled in Medi-Cal, help them select a managed care plan by passing out this flyer. 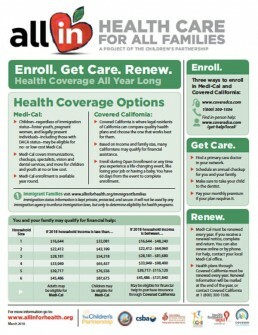 The flyer explains how to pick or change a Medi-Cal plan and how to find a doctor in their network. Download the flyer in Spanish (customizable version also available). 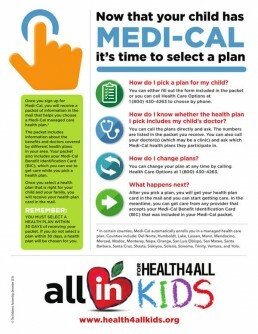 Bookmark: Inform families of Health4All Kids with this fun bookmark. Regardless of their immigration status, all low-income children can enroll into full-scope Medi-Cal any time of the year. Formatted with English on one side and your choice of Spanish, Thai, Tagalog, Korean, Khmer, Japanese, Hindi, Punjabi, Vietnamese, Arabic, and Cantonese on the other. These bookmarks can easily be passed out to kids and families for a fun reminder all year long about how to enroll in Medi-Cal. 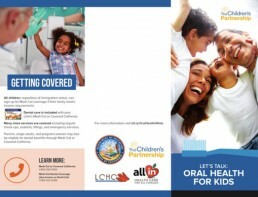 Dental Coverage Flyer: The Children’s Partnership, creator of the ALL IN For Health Campaign, has released dental coverage fact sheets for children. Across the nation, dental health needs are the number one unmet health need of children. And since 2015, all children with Medi-Cal and Covered California health coverage have dental coverage. 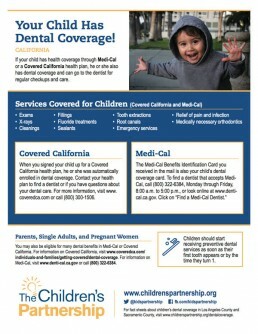 Pass out these dental fact sheets to help California families understand their children’s dental coverage and improve the oral health of your students. There are three different flyers to reflect the differences in Medi-Cal coverage between Los Angeles County, Sacramento County, and the rest of the state. 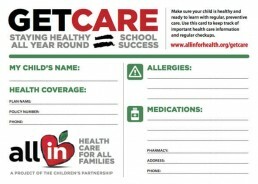 Get Care Card: Give families the tools they need to keep track of their children’s health care information and regular checkups. ALL IN For Health has designed a new tool to help families keep track of their child’s basic medical information—like doctors’ phone numbers, prescriptions, and allergies. Pass out this handy card to families with the Get Care Flyer and watch them reach their preventive health goals. Order copies to distribute to families from ALL IN For Health. Order the Get Care Card. 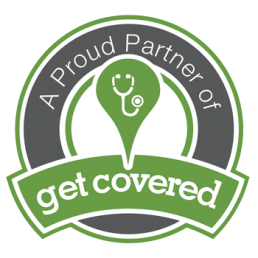 Have questions about affordable health coverage? View our Q&A for families to learn more about how to enroll in coverage, access care, and more! Having trouble accessing our materials? Contact Aurora Garcia-Barrera at Agarcia@childrenspartnership.org for help. 1) Delete or reposition the text box in the upper right hand corner of the file, based on whether you would like to add your own text. 2) Click Insert—>Picture—>From File. Select the logo you want to insert from your computer. 3) By default, the image will be “In line with text” Wrapping style, which you will need to change. – Double click the photo to get the “Format Picture” window and select the “Layout” tab. – Select “In Front of Text” for your Wrapping style. 4) The logo can now be resized and positioned. 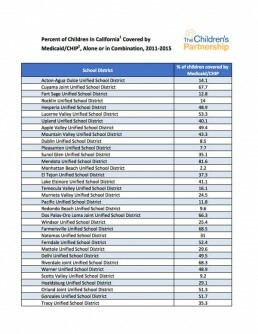 Since the 2015–2016 school year, public schools are required to provide information to families about their health coverage opportunities and enrollment assistance. 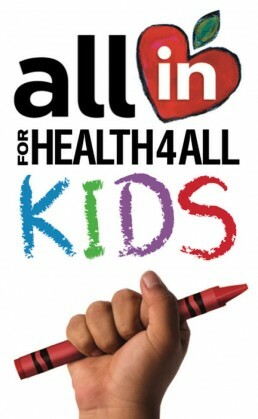 ALL IN For Health has made it easy for schools to do what is needed. Learn more about AB 2706 with our fact sheet for school leaders. 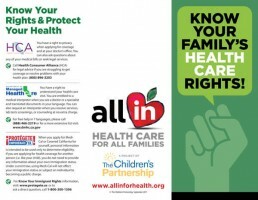 Simply download the ALL IN For Health flyer, available in English and Spanish, that informs families about health coverage options available through Covered California and Medi-Cal as well as how to enroll, get care, and stay enrolled. You can even add your logo on our customizable flyer. Then distribute this flyer to families through school enrollment packets, at back-to-school nights, and through other avenues that reach families. Check out our toolkit for more resources to help inform families about health coverage. Check out the Covered California School Educator Partner Toolkit. 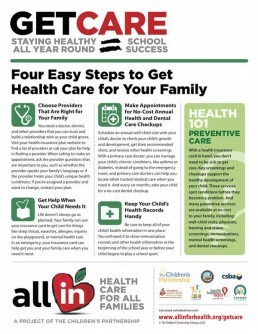 View "Connecting Kids to Coverage—How Schools Can Help Kids Stay Healthy," a webinar created for the 2016–2017 school year co-hosted by ALL IN For Health with the California School Boards Association, Covered California, and California Coverage and Health Initiatives. California Assembly Bill (AB) 2706, sponsored by Assemblymember Roger Hernández, seeks to reduce the number of eligible but uninsured children by requiring schools to provide information to families about their health care coverage options and enrollment assistance. Signed by the Governor in 2014, the law requires schools to provide this information for school years 2015–2016, 2016–2017, and 2017–2018. Families trust the information they get from schools. AB 2706 will help families across California gain vital information about affordable health care options and the enrollment process. And best of all, healthy kids make better learners. Research shows that when children have health coverage, they are better able to pay attention and keep up in school. Since the implementation of the ACA, ALL IN For Health has equipped schools and early learning centers with the tools they need to connect families to health coverage. Schools and school districts across California have used our outreach materials successfully, and together we’ve informed millions of families about their health coverage opportunities. ALL IN worked with the California Department of Education and Covered California to ensure our materials meet the requirements of AB 2706. In fact, both CDE and Covered California are disseminating ALL IN’s family flyer or adapted versions to equip schools with the tools they need to implement AB 2706.